^ Still, Larry (October 12, 1961). Johnson, John H (ed.). "Oscar Brown musical gets warm reception in windy city". Jet. 20 (25): 58–61. 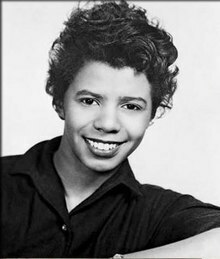 After the first showing, co-producers Burt Charles D'Lugoff and Robert Nemiroff announced that original director Vinnette Carroll would be replaced by Nemiroff's wife, prize-winning playwright Lorraine (A Raisin in the Sun) Hansberry in her first major directing spot. Rene A. Van Hulle Jr.